I am retired central govt.class I officer (66+ age). I get 56,910/- pension. Should income means my pension + interest I earned for my FD/RD/Saving bank and from post office senior citizen saving Scheme interest (for Rs.900000/-) in Post Office. In addition I invested Rs.11 lakhs in SBI SCSS’ monthly income scheme. So 9 lakh + 11 lakh=20 lakh in monthly income scheme. Four the FDs (of 1 lakh each)with sbi for 5 years TAX savings FD. 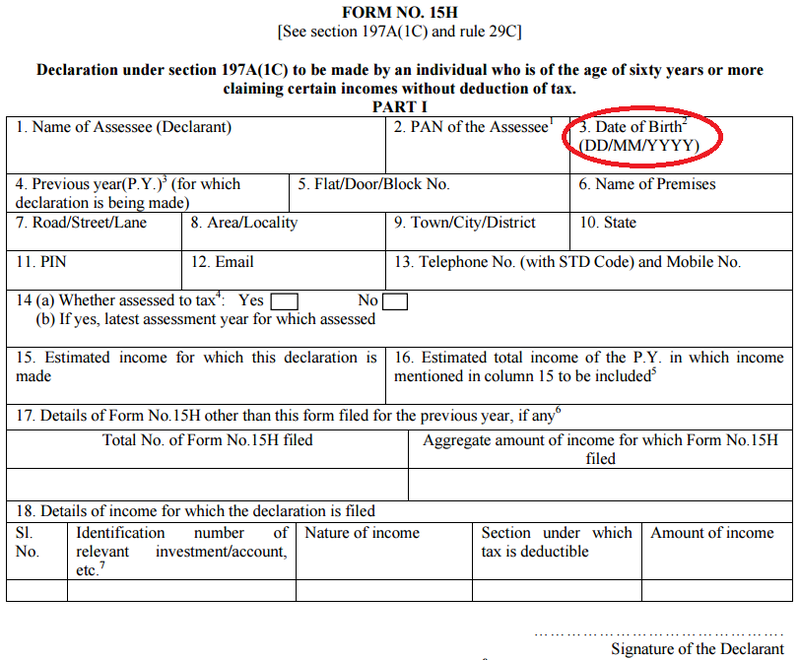 What is the exemption and tax liability for current year for me. Please elaborate. 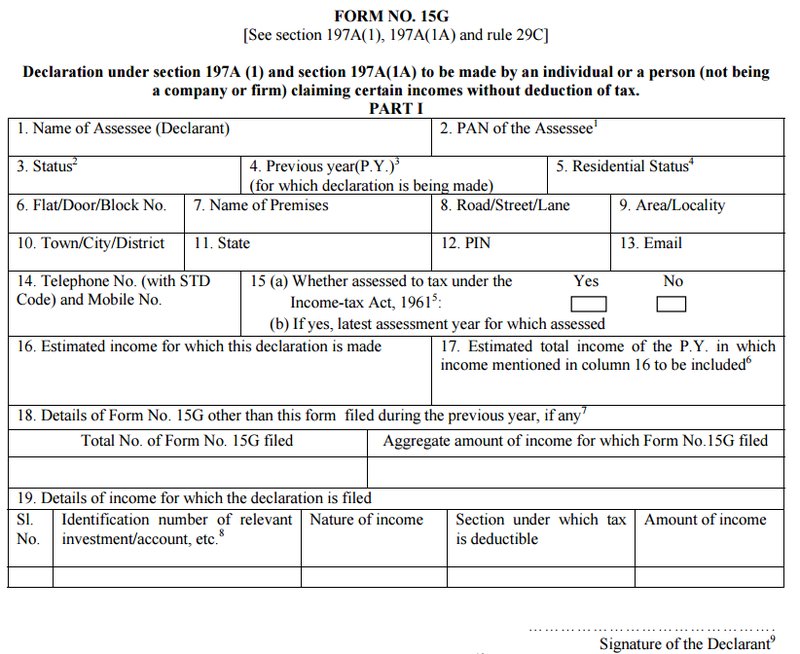 Tax payer (induvisual) can submit 15G form. I am govt employee and my gross salary monthly around 44000.